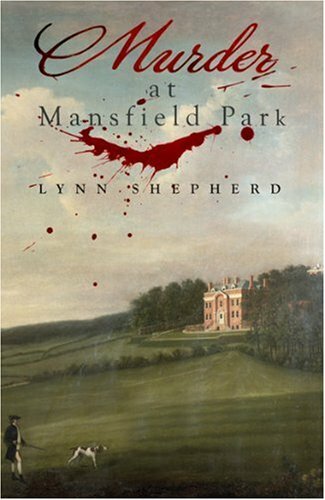 This is a superb retelling of the Jane Austen novel in which the house at Mansfield Park becomes the scene of one murder after another. Here is a new and surprising Fanny Price: forthright, ambitious, scheming and downright untrustworthy. What could possibly happen to a character like that? And how will the fortunes of the inhabitants of Mansfield Park be changed with the discovery of a dead body early one morning? So since I want my copy, I'm just going to buy someone theirs... Want? Just fill out this form and you're in. INTERNATIONAL. Ends July 5th. I've been wanting to read this book. ^^ BTW i've sent you the finished interview with the austen heroes. I a fan of both Jane Austen and Agatha Christie so the sound like fantastic fun. sounds like a fun read! i'm in. I hope I didn't enter twice, but if I did, my sincerest apologies, I'm excited.